The Welsh Ambulance Service is appealing for people to display their house name or number prominently to help save lives. It says in Wales there are still many properties that don’t have door numbers or names, which could mean that time is wasted by blue light services searching for the property in an emergency. The Trust is urging householders to help reduce response times by ensuring that their properties are clearly and prominently identified, and that there is nothing obstructing them. We need to get to 999 calls as quickly as possible. Sometimes if a house does not have its name or number clearly displayed there is a delay in us reaching the patient. “It's vital that all properties display their name or number clearly and that it is visible from the road. Our control rooms have digital mapping systems to find addresses but in a life threatening emergency it's a good idea to send somebody outside to flag the ambulance or response car down. In these cases sometimes seconds save lives. 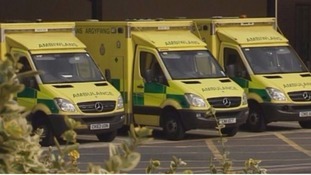 Welsh Ambulance's non-emergency transport services are being affected by a power cut. 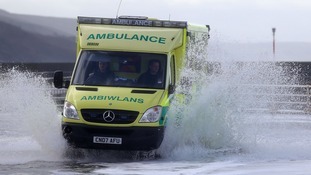 The Welsh Ambulance Service has also reported that their ability to receive 999 calls has been affected. Non-emergency transport services also affected by the power cut. We're working w/LHBs to contact patients whose transport may be affected. Changes to the way ambulances in Wales respond to 999 calls will only be effective if response times are improved, the shadow health minister has said. From October this year, most ambulance time targets will be scrapped, apart from immediately life-threatening conditions. The Welsh Government made the announcement today saying patients will instead receive "a bespoke clinical response based on their health needs", following a review. Figures out today show by the end of June this year, 61.4% of emergency responses to immediately life-threatening calls arrived at the scene within eight minutes - the target is 65%. These changes will only be effective if they lead to improved ambulance response times. “That’s what communities and hard-pressed staff deserve and that’s what Labour ministers must now deliver with the new model. “Wales has amongst the worst response times in Britain and the most urgent target has now been missed for 20 consecutive months. “In an immediately life-threatening situation, the length of time waiting for an ambulance can make the difference between life and death. 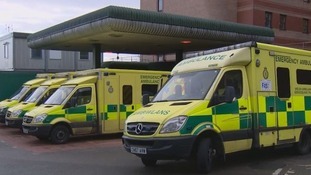 The Ambulance Service says its confident the changes result in better response times and benefit patients. Only 42.6% of ambulances in Wales got to the most life threatening calls within 8 mins according to Welsh Government figures published today. The target is for 65% of them do to so. The figures for November were 51%. Half of Welsh local authorities performed below the 42.6% average figure. The best performing area, Conwy was still below the national target of 65%. The chief executive of the service Tracy Myhill says "We completely appreciate that this presents an unacceptable level of service delivery across the whole health and social care system." The Welsh Conservatives called the figures "the worst on record". More evidence of a bleak mid-winter for the Welsh NHS, these are truly horrific figures – the worst on record – which must set alarm bells ringing for Labour Ministers who have inflicted record-breaking cuts on the Welsh NHS. Today sees the release of the latest ambulance response times in Wales for December 2014.